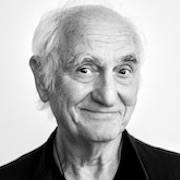 After 34 wonderful years in advertising Michael Conrad retired in 2003. Born in Germany - "a country more famous for great cars and less famous for great ads", as his friend John Hegarty likes to point out - Michael brought German engineering to global quality management in advertising, helping Leo Burnett Worldwide Inc. become "Global Agency Network" of the Year in 2000 (AdAge) and "Most Awarded Agency Network" in 2001 (Gunn Report). Under his creative leadership 27 Leo Burnett agencies were named "Agency of the Year" in their countries, some of them more than once. Michael began his career in 1968 as copywriter for Young & Rubicam, Frankfurt. In 1972, then Creative Director at Ogilvy & Mather Frankfurt, Michael left with colleague Creative Director Walter Lürzer to start TBWA in Frankfurt. In 1975 Michael and Walter set up Lürzer, Conrad, subsequently winning "Agency of the Year" and several "Campaign of the Year" awards. In 1980 the agency merged with Leo Burnett Germany, continuing its growth and creative success. When Walter Lürzer retired in 1982 to launch "Lürzer's Archive", Lürzer, Conrad was renamed Michael Conrad & Leo Burnett. In 1986 Michael moved to Chicago to become President and Chief Creative Officer of Leo Burnett International, which included creative leadership on global accounts like Marlboro. In 1996 he became Vice Chairman and Chief Creative Officer Leo Burnett Worldwide. Michael presided over many juries of international advertising festivals, including "Cannes", "AdFest", "Clio" and "Golden Drum". He serves as Dean of the Roger Hatchuel Lions Academy and is Honorary Member of ADC Switzerland, ADC*Europe and ADC Germany. In 2002 German business daily "Handelsblatt" and "Wirtschaftswoche" magazine inducted him into the German Advertising "Hall of Fame". Upon retiring in 2003 ADC Germany's Sebastian Turner approached Michael to help develop ADC's education initiatives. Having identified low quality "Creative Leadership" as the main reason for low quality standards in creative industries, the idea was born to establish The Berlin School of Creative Leadership. Michael lives with his wife Helga in Zurich, Switzerland. They enjoy their three children's creative progress: Anja's fresh photography; Josepha and Philipp's desperate serenades.